Two-time Pac-10 Coach of the Year Jim Millinder enters his Seventh season at the helm of the University of San Francisco women’s soccer program. Millinder guided the women’s soccer team to a 7-8-4 record in his first season, only one year after the Dons finished 6-14. That first season also produced All-WCC performers Mackenzie Krieser (second team), Megan Connor and Christina Moberg (honorable mention). The seven wins was the most for the program since the 2009 season when USF finished 7-7-5. In his second season, the team finished with six shutouts and improved their defense by allowing 1.29 goals per game, down from 1.36 in 2012. The team also dropped six one-goal matches en route to a 6-10-4 record. Goalkeeper Madalyn Schiffel and defender Halle Bissin earned WCC honorable mention honors and Jessica Nakae was named to the freshman team. Millinder came to the Hilltop with a wealth of experience and success. With stops at the University of Southern California, Loyola Marymount University and El Camino College, he compiled an overall record of 252-114-58. Prior to his appointment at USF, Millinder spent four seasons as head coach with the South Bay Force club team. In his 11 seasons at USC Millinder led the Women of Troy to a record of 135-70-21 (.645) and eight NCAA Tournament appearances. He also guided the team to a school-record 16 wins in 1997 and is USC’s all-time leader in wins. USC went 14-7-1 on route to earning a share of the 1998 Pac-10 title and making its first appearance in the NCAA Tournament. Millinder earned Pac-10 Coach of the Year honors in 1996 and 1998. One season after his departure in 2006, USC won the NCAA championship with a core of players he recruited, including 2008 Honda Award Finalist Kristin Olsen and 2005 Gatorade National Prep Player of the Year Amy Rodriguez - a 2008 Olympic Gold Medalist and current US National Team member. During his 11-year tenure at USC, Millinder helped to produce six All-Americans, nine NSCAA All-West Region selections and numerous All-Pac-10 team members. This impressive list of honorees also included three Freshman of the Year winners, 38 All-Pac-10 selections (14 first team) and 52 Pac-10 All-Academic players. Prior to taking over USC, Millinder spent two seasons at LMU where he led the Lions to three wins over Top 20 teams (including No. 8 Santa Clara in 1994). Success soon followed wherever Millinder went. In his four seasons (1990-93) as the women’s head coach at El Camino College in Torrance, Calif., his team claimed a state junior college championship, was runner-up to another, and reached the semifinals in the other two seasons. He finished with a 66-8-16 record. Millinder also took over as the men’s soccer coach at El Camino (1992-93) and in those two seasons, the team claimed the 1992 state championship and made the playoffs in his final season. He went 43-9-17. From 1978 to 1989, Millinder spent 12 seasons as an assistant coach for El Camino’s men’s and women’s programs and they combined to win six state titles in that time. He also served as the interim head coach of the men’s team when they claimed the 1987 state championship. Millinder also served as the head coach of the 1992 U.S. Amateur Championship Ajax women’s club team and 1993 U.S. Amateur titlist Cal-South men’s state senior team. Among his other coaching gigs were with the Cal-South under-16 girls Olympic Development team and the Amateur Athletic Foundation. Millinder was also an ambassador to the U.S. soccer team at the 1994 World Cup. Millinder played professionally for eight years and competed against soccer legends such as Pele, Franz Beckenbauer and Johann Cruyff. He played midfielder in the North American Soccer League for the New York Cosmos (1978), Los Angeles Aztecs (1979), Tulsa Roughnecks (1980), and Fort Lauderdale Strikers (1981-82). From 1983 to 1985 Millinder played for the Oklahoma City Slickers in the American Soccer League, where he was a two-time All-Star, and for the Los Angeles Lazers in the Major Indoor Soccer League. He earned his A.A. degree from El Camino in 1991, followed by his bachelor’s degree in physical education from Cal State Dominguez Hills in 1993. He was a star in soccer and football at North Torrance High School and earned J.C. All-American honors while at El Camino in 1977. Millinder, 59, and his wife Carol have two sons, Austin and Jacob. Nijjar joined the women's soccer coaching staff as a volunteer assistant during the spring of 2016. He previously served as an assistant coach on the men's side at Caltech and was a volunteer assistant with the women at Marymount California University. 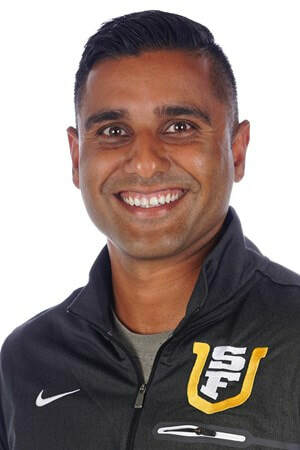 Nijjar, who holds a USSF B coaching License, is on the Region IV Olympic Development Program Girl’s Regional Staff. 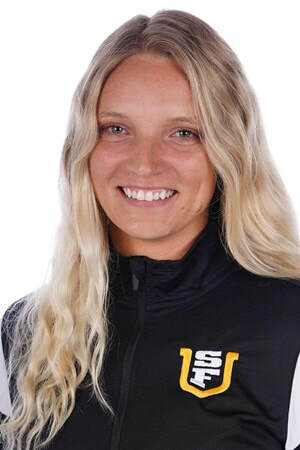 Previously, Nijjar was on the staff of the Cal South Olympic Development Program, helping win four regional championships and a national championship with the girls 99 squad. His coaching experience stretches a range of levels with six years on the Fram Soccer Club staff and stints with the girls at Palos Verdes High School and the boys at Rolling Hills Preparatory Academy.